Sounders GM Adrian Hanauer applauds his team’s 2-0 win over the Houston Dynamo Sunday at CenturyLink Field. Seattle Sounders majority owner Adrian Hanauer talks about the business issues involved in loaning players to various national teams in-season and why soccer seems to handle it better than other sports like Major League Baseball. 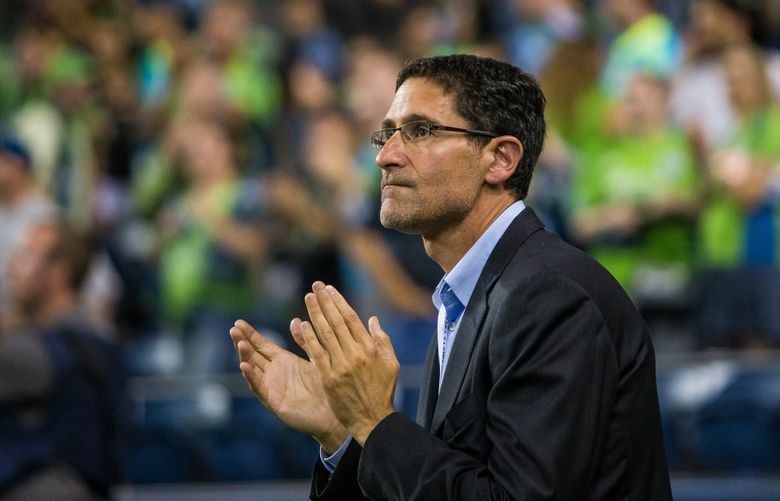 Seattle Sounders majority owner Adrian Hanauer chats about why soccer teams worldwide are less hesitant to loan players to national teams in-season than other sports like MLB with the World Baseball Classic and the NHL with the Winter Olympics. Also, Seattle Thunderbirds GM Russ Farwell discusses the blossoming rivalry between his WHL team and the Everett Silvertips and what it means for the business of major junior hockey in the region. Plus, Geoff opines on whether this country’s global success at sports makes U.S. athletes less excited about international competition than their counterparts from other nations.